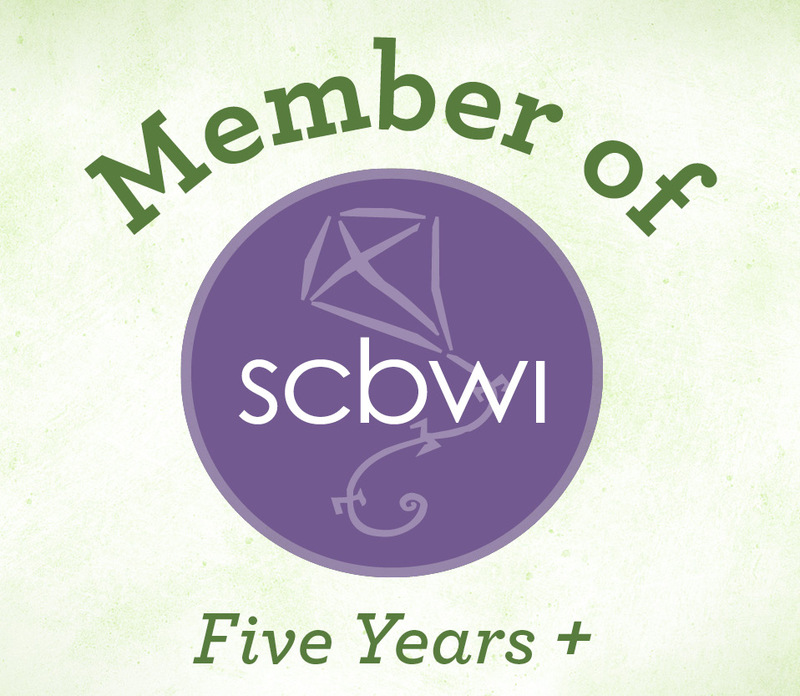 Opening: Until I was five, I thought my grandmother was my mother. In kindergarten, I found out the truth. Book Synopsis: My name is Cassandra. Some people think I’m an orphan. They say that truth is stranger than fiction, and in my case that’s definitely true. My best friend, Leanna, keeps bugging me to write my life story. She loves writing. Me, I’d rather be an actress. But telling the truth for once about my life could feel good. You see, I always thought my grandma raised me because I was an orphan. But when she died, I found out that was a lie. It’s hard to find out that nobody wants you. For a long time I didn’t have a real home, or any real friends. But things can change, and now I’m sitting here at my desk in my room, writing my story so you can read it, strange or not. Sharon Jennings has written a heartbreaking and heartwarming coming of age story about a 12-year-old girl who is shipped off to the homes of many cruel relatives who treat her with disdain. Cassandra suffers abuse, hardship and finds little love. All she really wants is to find a family and a home where she feels she belongs. Connecting Dots is a richly textured story narrated by Cassandra. Cassandra’s character is memorable, strong, resilient, fearless and wise. In the face of such adversity and unimaginable abuse, she finds a bosom buddy in Leanna Mets, who encourages her to write her life story. As Cassandra shares her pages with Leanna, she finds writing cathartic, empowering and healing. Acting in school plays and with a kid’s theater company strengthens her resolve to never lose sight of her dream to become an actress. The plot is strong, honest, tough and clever, with many twists and turns. When you finish, you’ll want to cheer Cassandra for connecting the dots in her life. This third installment lives up to the “Gutsy Girls” book. 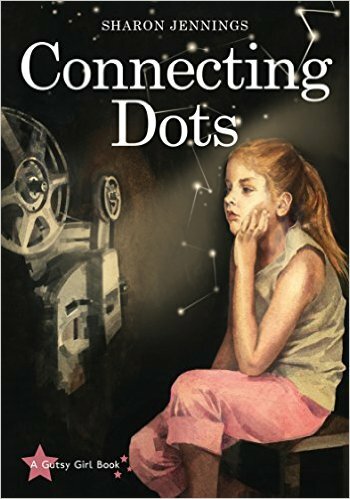 Connecting Dots is definitely a companion book to Home Free, where Cassandra’s friend Leanna is the protagonist. Note to Parents: There is a mention of Cassandra being sexually abused by an uncle Ernie and punished by an aunt with an enema and beatings. 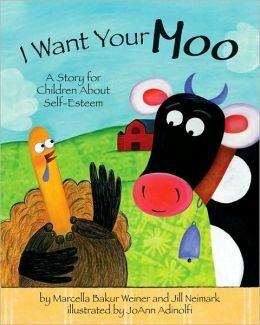 Although the book is for readers 9-12, parents may want to judge their child’s maturity level. 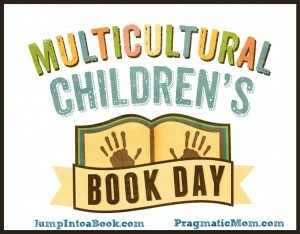 Other Gutsy Girl Books: Finding Grace, by Becky Citra; The Contest, by Caroline Stellings; Home Free, by Sharon Jennings; and Connecting Dots, by Sharon Jennings. 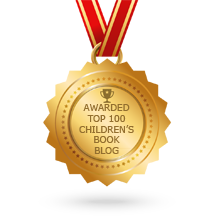 Sharon Jennings has written over 60 books for young people, many of them award winners and nominees. 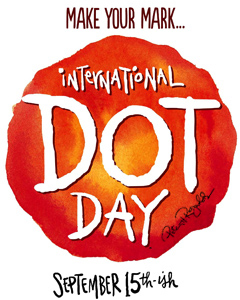 Home Free, the prequel to Connecting Dots, was nominated for a Governor General’s Award, the TD Canadian Children’s Literature Award, and the Silver Birch Award. Visit Sharon Jennings at her website. Check out the Marvelous Middle Grade Monday books reviewed and listed on author Shannon Messenger’s blog. Synopsis: Toodles doesn’t like the sound of her own voice and goes searching for a new sound. She want’s Cathy the Cow’s strong “Mooo-oooo-oooo.” She wants Paris the Pig’s “Oink” and Harry the Horse’s “Neigh,” and the cat’s “Mee-oow.” They all refuse. But, Ralph the Rooster invites Toodles to join him in a duet of “Cocka-cocka! Doodle -doo!’ But, that didn’t go over well and Toodles runs away. Defeated, Toodles runs into the very wise Omar the Owl “Whoo-whoo” gives her advice. She wanders back into the barnyard, just in time to save the day with her Gobble-gobble. Will Toodles ever be happy with her sound? Why I like about this book: Kids will have fun making all the wonderful animal sounds. 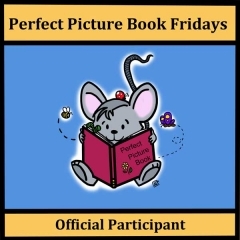 Weiner and Neimark have written a lively and lyrical book that will captivate young children. 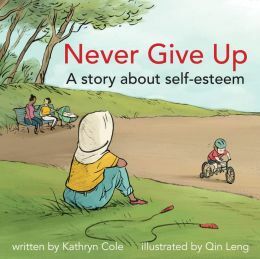 This is a great book to add to your collection to boost your child’s self-esteem. Adinolfi’s bright and colorful illustrations explode off each page. The expressions she captures of the animals are hilarious. Jill is also the author of Toodles and Teeny, which I reviewed last spring. 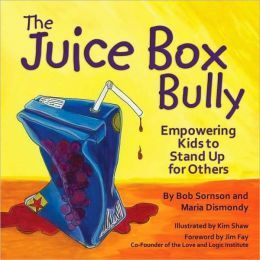 Resources: There is a forward and back pages for parents talking about building a child’s self-worth and offering practical advice for guiding children toward self-acceptance. This book offers so many teaching moments. Have children act out the animal characters and draw pictures of Toodles and the other animals. It is also a great classroom book. Opening/Synopsis: “Millie was too short to be tall, too quiet to be loud, and to plain to be fancy. When she spoke at show-and-tell, hardly anyone listened. When she walked into a room hardly anyone looked up.” One day Millie is drawing a flower with chalk on the sidewalk, when three girls from her school walk over her flower until nothing is left but a big smudge. “I’m not a smudge,” she said. Millie is tired of not being noticed and comes up with a plan. She frizzes her hair, sharpens her nails, stomps, and growls. Her behavior becomes obnoxious and wild so people will notice her. She paints the dog’s face blue, scratches the blackboard with her nails, pulls the buds off her neighbor’s flowers, and dumps jelly beans all over the classroom floor. The kids at school notice Millie now, but she doesn’t receive the reaction she hoped for. Millie wishes she were invisible again. Perhaps being fierce isn’t the best way to get noticed. What I like about this book: You can’t help but love Millie and feel her pain. What child hasn’t felt invisible and left out. No child wants to feel like a smudge. Jane Manning has written a fun and important story about how far a little girl will go to get attention. This is a great lesson that will stay with children for a long time. Being mean doesn’t mean kids will like you. Kids will definitely identify with Millie. Although Millie’s behavior is extreme, it’s a very funny book because of her creative and outrageous character. It also teaches without preaching. Manning’s illustrations are vibrant and colorful and capture Millie’s expressive behavior to a tee. 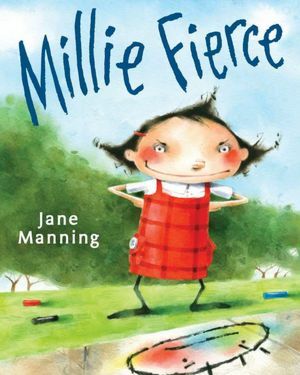 Manning says that “Millie Fierce must have been rattling around inside me for a long time.” “I remember feeling like Millie on many different occasions when I was a kid – like I wasn’t being seen, or heard, or considered.” She has illustrated dozens of books. 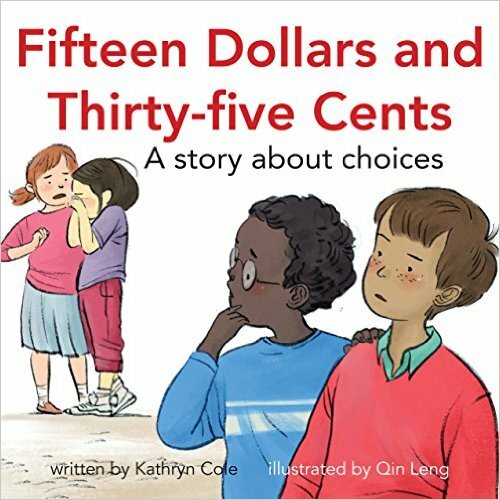 Resources: Great discussion book for the classroom. Ask kids if they ever feel like Millie and to share situations when they have felt invisible and left out. Do they feel sad, hurt or mad? How did they handle the situation? What advice would they give Millie? 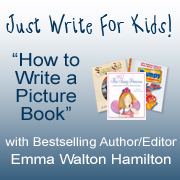 Have kids write a letter to Millie, or draw an exaggerated self-portrait of themselves that shows their sad, angry or wild side. Synopsis: August (Auggie) Pullman was born with a rare facial deformity. He has undergone many surgeries in his young life. He has dealt with people staring at him and rushing away in horror his 10 young years. His mother has homeschooled August to protect him, but he’s about to start fifth grade, His parents have taken a bold step and have enrolled him in Beecher Prep. Although Auggie has learned to brace himself, he’s not happy about going to middle school. It’s hard enough to be the new kid on the block. But facing your classmates knowing there will be rejection, ridicule and cruelty is a lot to ask of any child. The principal asks three students to be friends with Auggie and show him the ropes. Among the three, Jack is the only true friend who really enjoys being with Auggie. There are a few other kids who gather around to support Auggie. Only Julian, the popular kid and class bully, turns the rest of the class against Auggie and Jack. But Jack and Auggie will have their day when friendship and kindness rule. 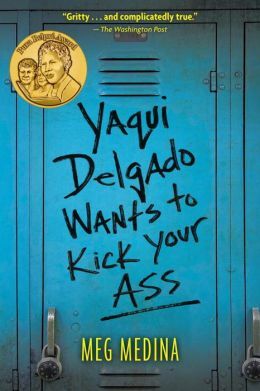 What I like about this book: Palacio has written a gripping story that is both heartbreaking and funny. 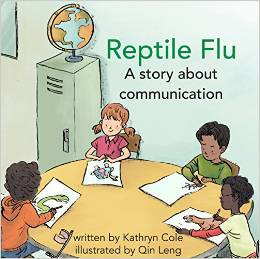 The chapters are short and are told in first-person from the viewpoint of each child who interacts with Auggie — which is very raw and revealing. 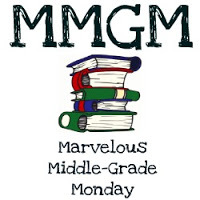 The author has done an excellent job of getting into the mind of each of his characters and letting readers experience their feelings and reactions. We also see how Auggie grows and builds inner strength and courage. Wonder is an excellent book to use in the classroom and encourage kids to talk about differences — visible or invisible. Wonder has been named the by the New York Times as one of the Top Ten Notable Children’s Books for 2012.